Russia and Turkey are working towards trade payments in national currencies, according to the president and CEO of Turkey’s DenizBank, Hakan Ates. “We are ready to do everything to facilitate the transition to payments in national currencies. Such a transition is possible but our central banks have to make this decision. We’re already working in this direction but haven’t reached direct agreements so far. We have to make it happen,” Ates said on Sunday. 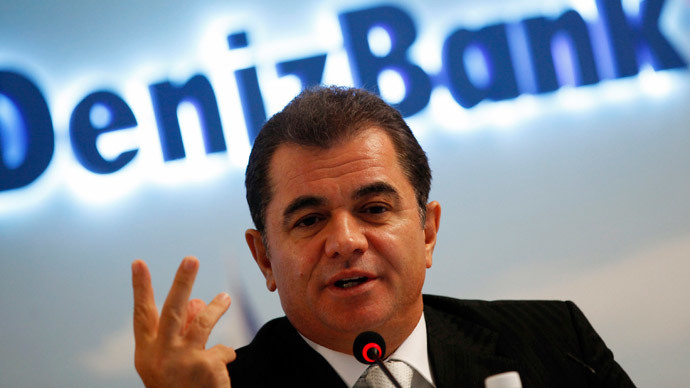 DenizBank is almost entirely owned by Russia’s Sberbank, which has been under Western sanctions since last summer. Sberbank bought 99.85 percent of DenizBank from the French-Belgian Dexia Group in 2012. The price of $3.5 billion was the biggest foreign acquisition in the history of Sberbank. Trade between Russia and Turkey reached $32.7 billion in 2014, making Turkey Russia’s eighth biggest trading partner, while Russia is Turkey’s second-largest trading partner, after the European Union. The two countries are looking for closer economic ties. Energy has become one of the biggest areas of cooperation, after Moscow decided to redirect its gas from the cancelled South Stream to the new Turkish Stream pipeline. The idea of switching to local currencies in settlements was last discussed at the G20 summit in Sydney in the summer. Turkey also discussed the creation of free trade zone with the Russia-led Customs Union.